Original Head sculpture by German born American artist Gerd Utescher (1912 - 1983). 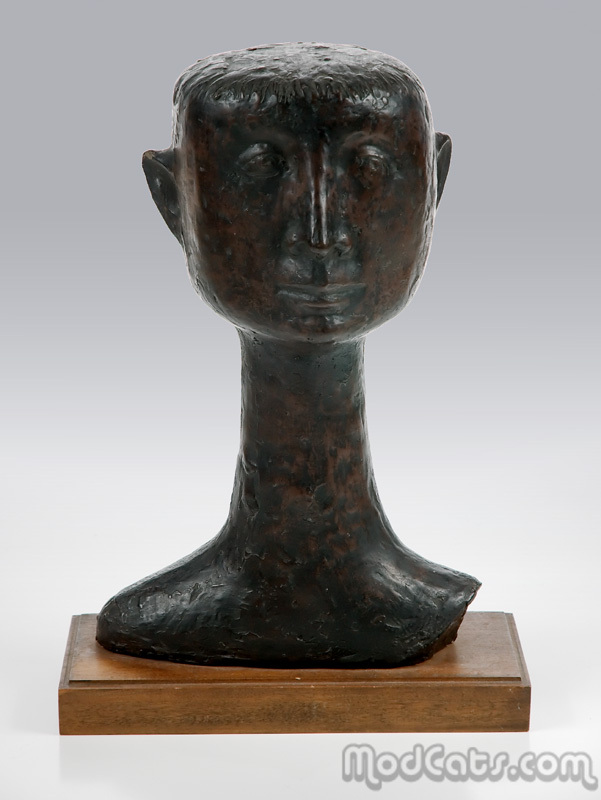 This piece has a well documented wooden base describing it as a Gerd Utesher original, titled "Head" in plastecine (although actually cast in some sort of fiberglass) and that it was originally offered for $1900 by Estelle Colwin's (1915 - 2006) Colwin Associates Art Consultants - probably from the early 1970s. Some of Utescher's works are on permanent public display in Philadelphia. Condition: Chip to top of right ear and small area of exposed fiberglass on top of head (see photos).